In honor of their 200th release, you just knew Drumcode would enlist an A-lister to create something magical. That is exactly what label boss Adam Beyer has done. Having supported high riser Amelie Lens for years, Drumcodelabel boss Adam Beyer entrusted the talented Belgian for release #200. The result is a stunning remix pack of a Beyer classic. ‘Teach Me’ (Amelie Lens Remixes) are due to hit January 28, but we are lucky to have them both streaming in full for our listening pleasure. Going a different route from the dark, brooding 2014 original, Lens puts two masterful, modern spins on ‘Teach Me.’ The first track, dubbed the ‘Main Mix,’ utilizes a driving percussion to kick things off. The perfectly balanced snare mixes nicely with the vocal sample from the original. The grinding bassline carries you into a deliciously teased out release, and by here, you are at mercy to her whims as she closes out the track with style. 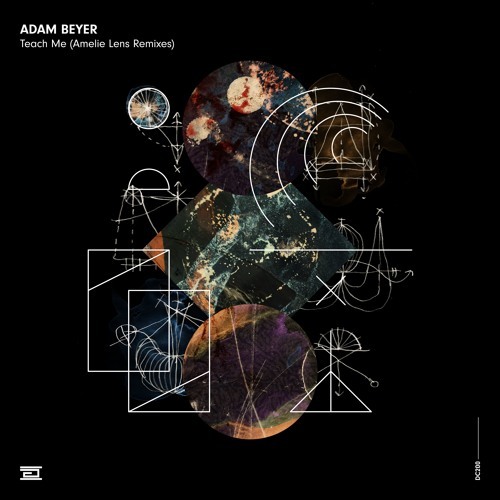 Next, the ‘Teach Me’ (Amelie Lens Acid Mix) hits harder from the start. A grimy, warped intro accompanies the filthy bassline to perfection. This version relies less on the vocals with it’s cutting, edgy production. As the track empties out, it retakes control with a rapid-fire percussion and atmospheric elements. The result is a dark room monster that pushes the envelope to more ominous and pensive territories. Drumcode knows who to hitch their wagon too, and the Amelie Lens star is burning bright on both tracks. Check out both versions streaming below on Soundcloud, and set your reminder for their official release on January 28!